Edward Minskoff, the developer of 51 Astor Place (the former home of Cooper Union’s Engineering Building ) recently revealed renderings of the future site—a 12 story tower and public plaza, designed by Fumihiko Maki. CURBED, launched its own design contest for alternative ideas for this space and the winning entries were posted here. I was recently in the Cooper Union archives looking at photos from the late 1950s just before the college’s centennial. Then, 51 Astor Place looked surprisingly similar to what it does now– empty. 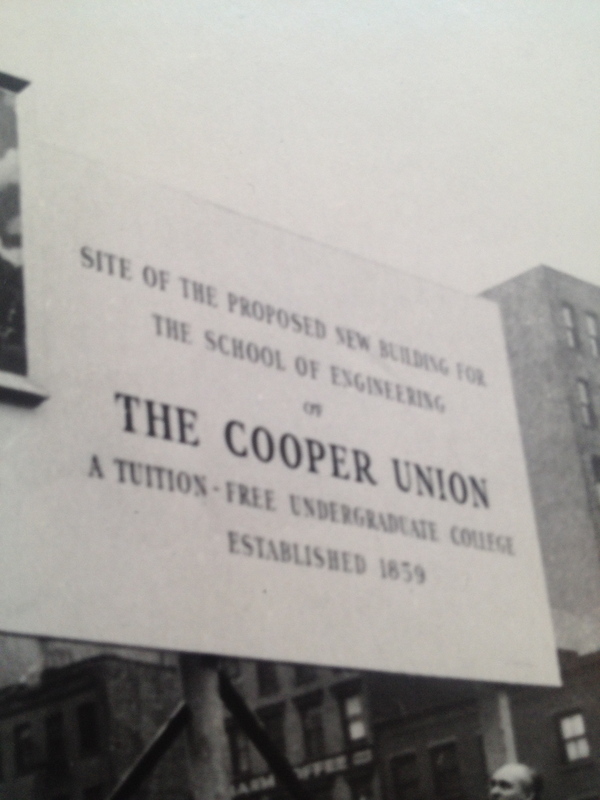 In 1956, The Cooper Union Alumni Association took advantage of this this vacant lot to host an Alumni Day Luncheon. 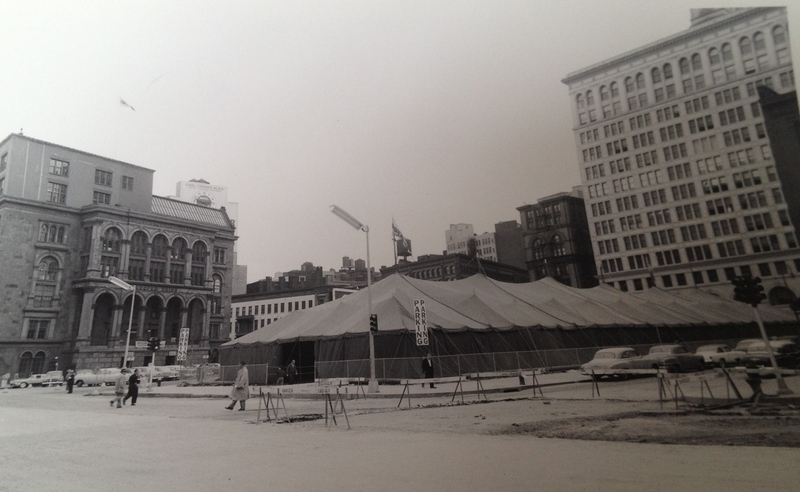 A circus tent was pitched on site, and “800 hungry alumni” were fed. The site would become the Albert Nerken School of Engineering. 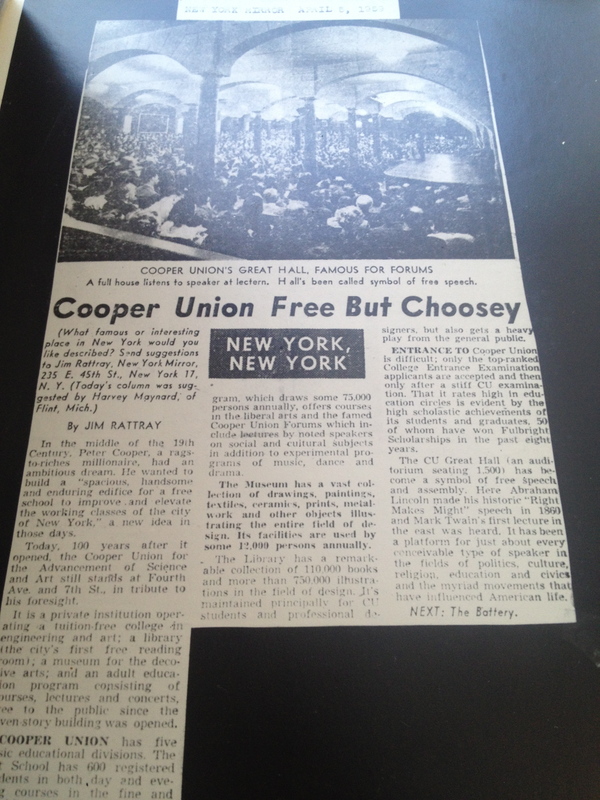 It was a time of new beginnings for the school with a new engineering building, new degree programs in Art and Architecture, and new expenses, but Cooper Union remained commited to maintaining its legacy of full tuition scholarships. Even the construction billboard noted the future site was part of a tuition-free college. 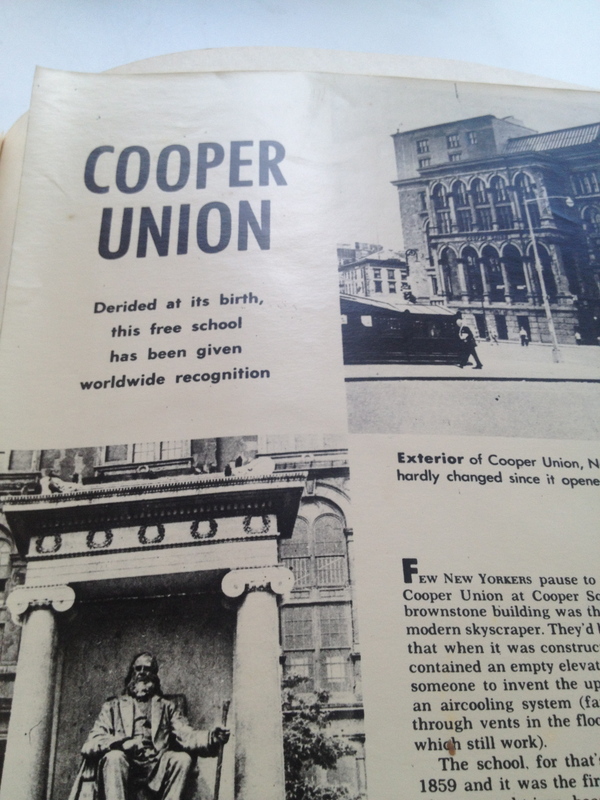 In 1959, as Cooper Union prepared for its 100th birthday, it looked toward the future while celebrating its past. 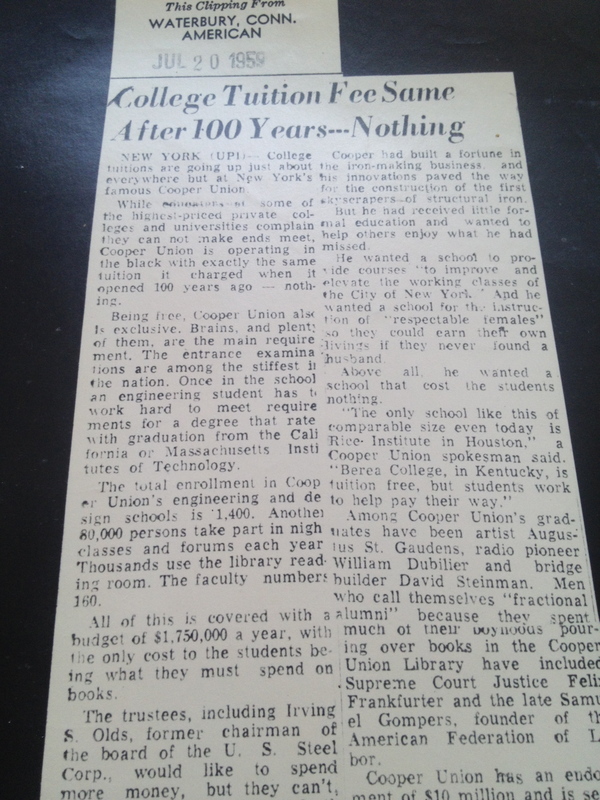 The Cooper Union Archives has a whole book dedicated to pictures and newspaper clippings from the centennial.This article notes, the college fee has remained the same over 100 years: Nothing. As Cooper Union contemplates its future now, how can it preserve its legacy and honor its past? 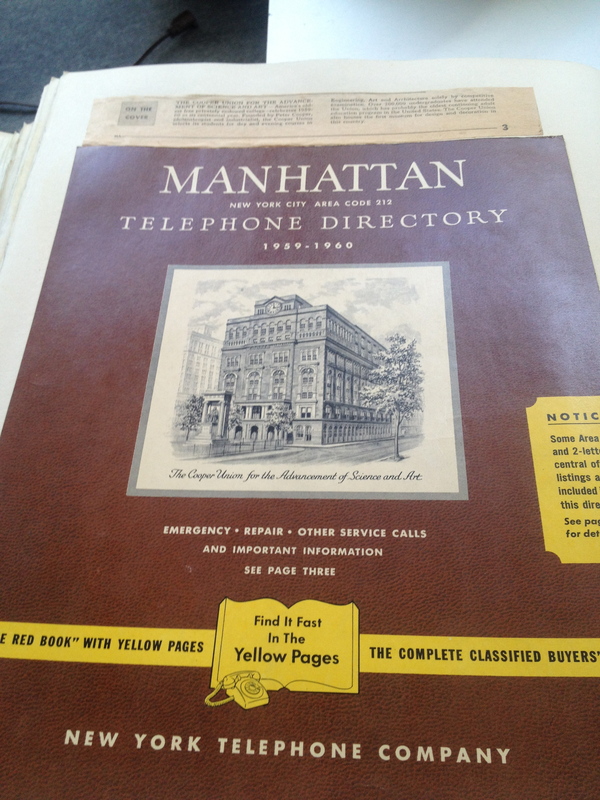 What would an ad campaign look like today? If you could design a billboard in front of Cooper Union, what would it say? In 1977, Cooper Union alumnus Milton Glaser was asked to help revive the image of New York City in the face of a financial crisis and generally bleak future. His response? Good design and flawless concept. A logo that would boost the morale of New Yorkers time after time and be replicated worldwide. Think free education makes a flawless concept? Interested in exploring the “good” in good design? Here’s your chance. At a time when student debt outstrips personal debt, at a time when Cooper Union’s legacy of free education is under dire threat, Friends of Cooper Union are now asking all designers, artists, architects, engineers, writers, financiers, investors and people-who-catalyze: what does the future of free higher education look like? For more information about the current situation facing this historically tuition free college: visit the Friends of Cooper Union website. For additional posts on Cooper Union click here. Posted in Cooper Union, education, Peter Cooper and tagged Cooper Union, education, equity, Peter Cooper.